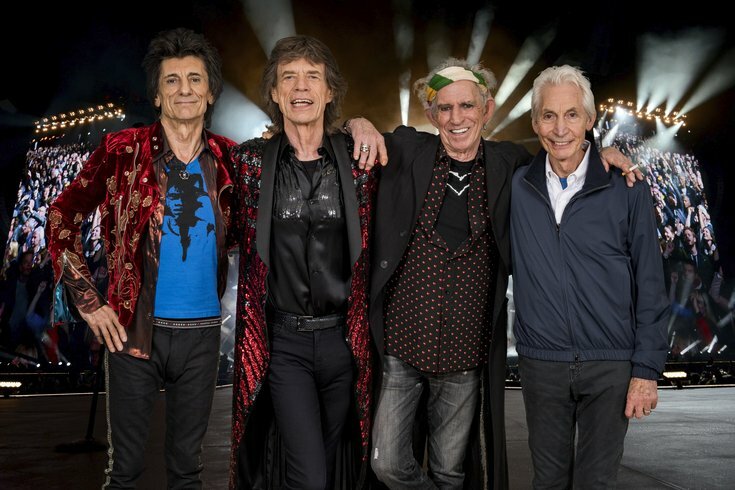 The Rolling Stones announced they're bringing their "No Filter" tour to U.S. stadiums in 2019. The 13-show tour kicks off in April. "It’s a thrill when we play stadiums in the States," Mick Jagger said in a statement. "The energy is always amazing!" The Rolling Stones will stop in Philadelphia on Tuesday, June 4, to perform at Lincoln Financial Field. Tickets go on sale online at 10 a.m. on Friday, Nov. 30. American Express card members can purchase tickets before the general public, beginning Wednesday, Nov. 28, at 10 a.m. The "No Filter" set list includes the band's classic hits, like "Sympathy For The Devil," "Paint It Black," "Brown Sugar" and "Miss You."